Entire Tattoo Removal Process Explored! Tattoos have become increasingly popular in America over recent decades. 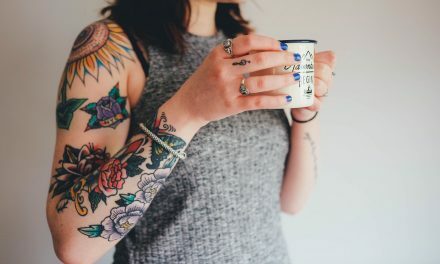 Statistics show that 40% of adults between the ages of 26 and 40 have at least one tattoo, however, while many people regret their tattoos, 11% proceed with tattoo removal. 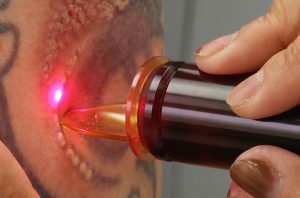 While tattoo removal was once an invasive and painful surgery, recent techniques now include the use of lasers to remove tattoos. A tattoo results in a permanent mark on the skin when pigment is injected into the dermal layer with electric needles. The ink only ruptures the top layer of the skin. The electric tattoo machine uses needles, quickly puncturing the skin, similar to the needles of a sewing machine. The most common way to remove a tattoo now is to use a laser to break down the ink particles that make up the tattoo. The immune system then fights off this broken-down ink, which has a similar effect of natural fading over time. The process of laser tattoo removal requires multiple sessions to break down all of the ink. The complete removal of a tattoo is not possible, as they are created to be permanent. While removing them is difficult, it can be very effective in lightening the image to the point of almost being unnoticeable. The degree of visibility of a removed tattoo has several factors, including the size of the tattoo, the location on the body, the body’s ability to heal, and how long the tattoo has been in place. 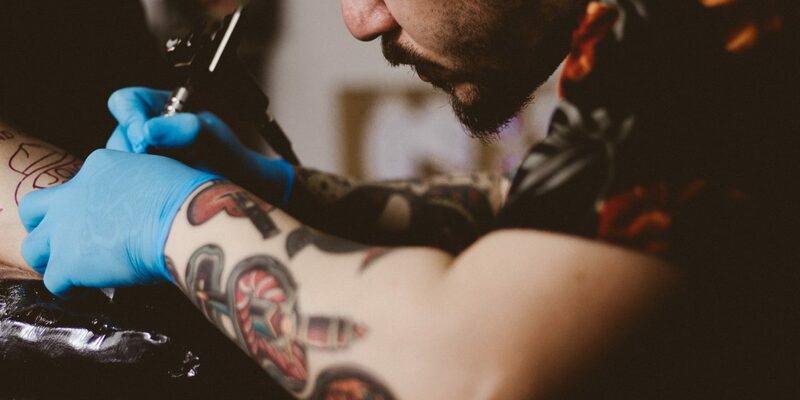 A tattoo that has been applied by a professional artist may have a higher chance of being able to be removed because the pigment was likely evenly injected throughout the tattoo. Fresh tattoos are typically harder to remove than old tattoos. Doctors are unable to predict the degree of removal because they are unaware of the various tattoo inks that are available that were used on the tattoo. Lasers have become the norm for tattoo removal because they are low risk, bloodless, and effective, with few side effects. The procedures are done at outpatient appointments and the patient has the option to use topical numbing solutions. The lasers produce short pulses of intense light. These impulses pass through the dermis and are then absorbed by the colors in the tattoo. The laser energy fragments the tattoo into very small particles, which are then removed by the immune system. 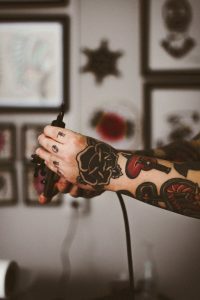 With research, professionals are able to determine which light wavelengths to use and the best techniques using the laser to remove tattoo ink. The process of tattoo removal can be uncomfortable. 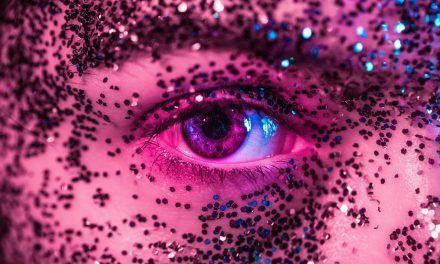 The laser’s powerful pulse may be similar to the feeling of getting hot specks of grease onto the skin or being repeatedly snapped by a rubber band. In order to prepare for this procedure, a patient can use non-aspirin products such as Tylenol before the procedure. Other pre-treatment steps involve the application of an anesthetic cream several hours prior to the session. 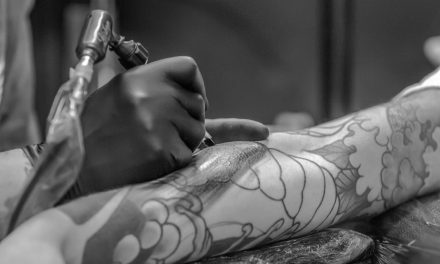 Others prefer a local anesthetic to be injected into the area around the tattoo before therapy begins. Over the next few weeks, that tattoo will begin to fade. After treatment, an antibacterial ointment will be applied and the area will be covered with sterile gauze. This area must be kept clean with the continued use of ointment to encourage healing. 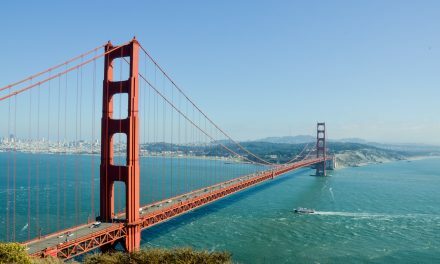 The area may feel sunburned for a few days and may be visibly red for quite some time. It may also form a scab, which needs to be ignored as much as possible to prevent scarring. There are few side effects from laser tattoo removal but the procedure may result in hyperpigmentation or hypopigmentation. Both of these refer to a discoloring of the skin. Other possible side effects are skin infection, permanent scarring, and a lack of complete removal. While it is quite possible that one may see immediate results from laser tattoo removal, it typically takes up to 8 weeks between treatments to see any fading of the tattoo. Remember, black is the easiest to remove because it absorbs all of the laser’s wavelengths. Colors such as green, however, selectively absorb light from the lasers, which requires a special laser depending on the color. Tattoo removal requires several treatment sessions that are usually at least 7 weeks apart. 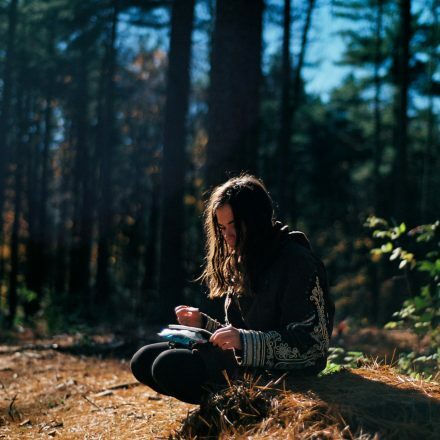 If you do your sessions closer together than recommended, you will increases your risk of adverse effects without increasing the rate of ink absorption. During each session, some of the pigment particles are fragmented, but not all. The body then is able to remove the smallest particles over time, resulting in the lightening of the tattoo. As tattoos begin to fade, doctors may suggest that patients wait much longer between treatments to minimize side effects. PreviousQuick Tips to Get Rid of Those Bags Under Your Eyes! Great Post about laser tattoo removal. Thanks for sharing. Thanks for pointing out that the removal sessions are usually about 7 weeks apart. I’ve been thinking about getting one of my tattoos removed, but I thought I’d have to in much more frequently. I’m glad that the process allows for recovery time between sessions and won’t be a huge inconvenience on my schedule! Hey, Your article is superb, Thanks in favor of sharing such a good post. Great Post thanks for sharing. As you and Amy Winter’s said it take time to recover before getting another laser treatment is true. It depends on person to person but usually takes 6-8 weeks to fully recover from laser treatment, It took 8 weeks and 3 treatments in my case and laser treatment does not have any long time side effects so it’s a good idea to get treated with laser for removal of any kind of tattoo. Laser tattoo removal is the best for me. I have to try much technique but could not remove. When I got this laser tattoo removal treatment then tattoo has been removed. Now I am prefer to everyone take this procedure.